Gotta love a new year celebration that lasts two weeks. It gives me hope that by the time it is over, I might just get the hang of this year. I shouldn't be surprised by the rough start. A monkey once stole my father's glasses and wallet. My sister and I thought it was the funniest thing for a cute little critter to be a pickpocket. My dad's sense of humour didn't kick in until the stolen objects were retrieved by the lodge staff. It's been a while since that incident in Kenya but I'm pretty sure they were Vervet monkeys that hung around the lodge and stole food and otherwise entertained the tourists. Now I find out that wild Vervets are terrorizing Kenyan farmers. They are stealing crops and breaking into homes. Like most human gangs, they're also sexually harassing women as an intimidation tactic. Human women. Not female Vervets. “The monkeys grab their breasts, and gesture at us while pointing at their private parts. We are afraid that they will sexually harass us,” Lucy Njeri told the BBC. This isn't typical behaviour for monkeys. Chimpanzees are known to be that aggressive, but not monkeys. Is it a reaction to human encroachment on their habitat? Or is it a case of imitating humans? 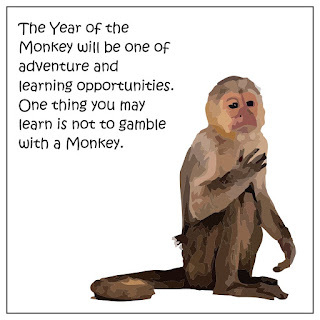 Monkey see. Monkey do. 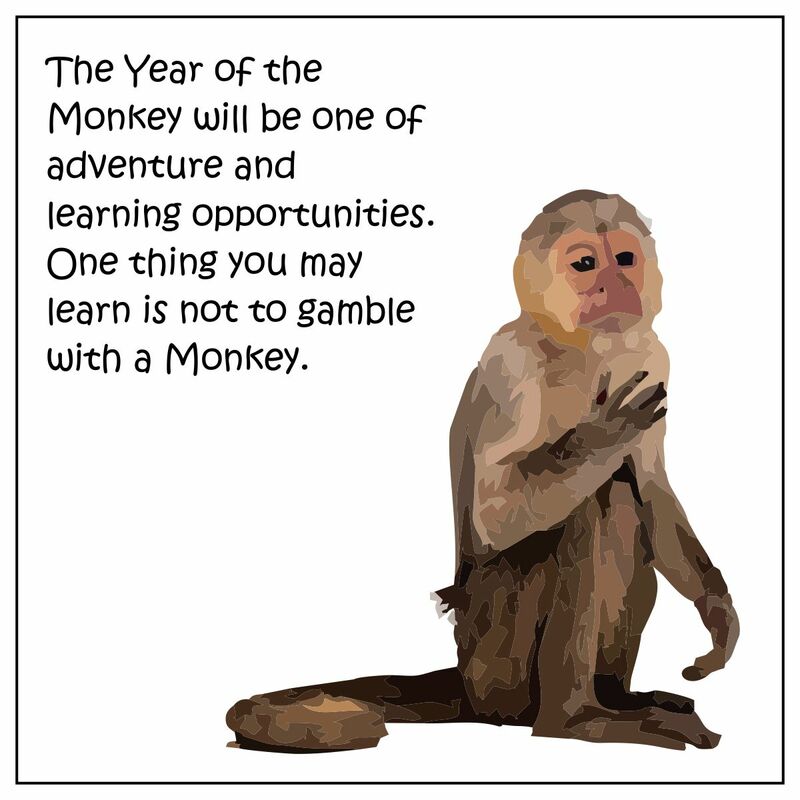 That illuminates the main problem with the Year of the Monkey. Monkeys are too much like us.